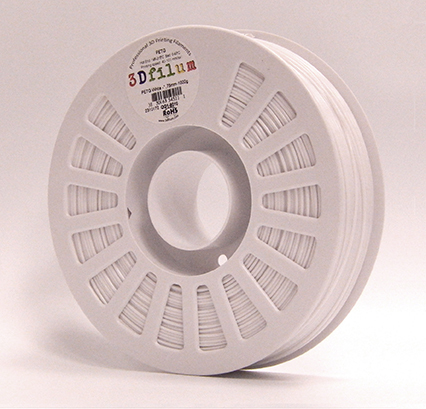 High quality 3D printing filament: more elastic than ABS. Suitable for food contact. .
More elastic than ABS. Suitable for food contact. .
PETG is a material with mechanical characteristics superior to ABS with the addition of elasticity; easy to be printed as the PLA (does not need a hot room), it is odorless and does not absorb water. It is a co-polyester, therefore, it is important to print with the correct temperatures to have the aesthetic effect of this material. Excellent mechanical resistance at high temperatures and resistance to acids. Packaging Vacuum-sealed with silica gel and cardboard box. Extruder with good quality PTFE or metal, with or without bowden. * Print temperatures may vary depending on the printer used.